1.Multifunctional-- Can be used as a Projector Lamp when Put Off the Protect Shade, Also can be used as a Night Light when Put On the Protect Shade. 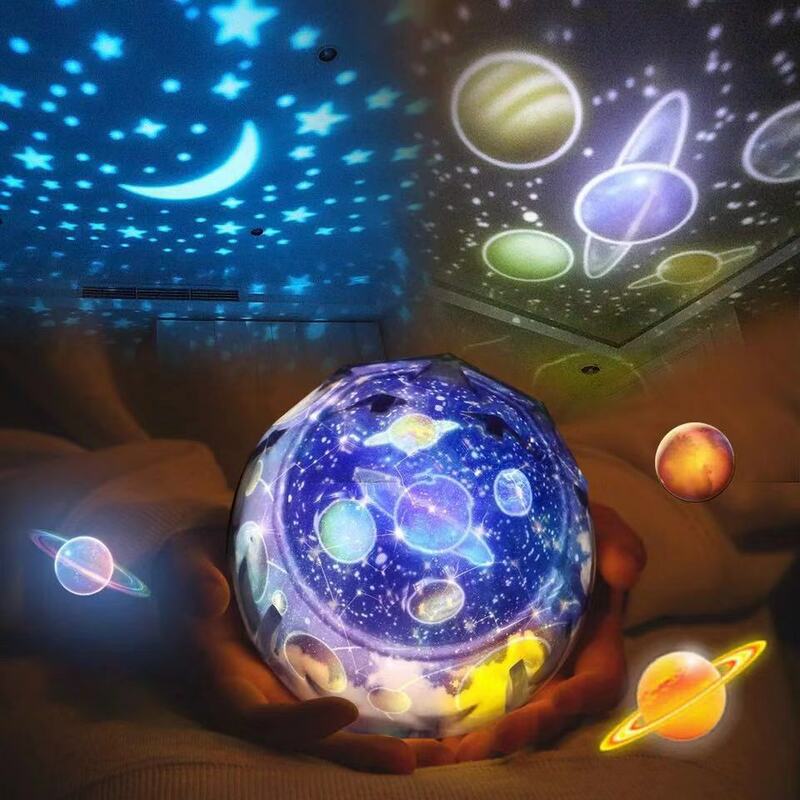 2.Five Sets Of Film--- With Magical universe, Starry star, Moon, Ocean,Happy Birthday.Thus beautiful light will be projected to ceiling or wall, Press Button B for 2 Seconds then the light will rotate. 3.Six Lighting Effects – White, Blue, Yellow, Sequential, Combination, Slow fade.Explore the mysteries of the universe. 4.Convenient--- Two Power Supply:3 x AA Batteries or USB Charger. 5.Ideal for decorating wedding, birthday, parties. Great for romantic night lamp and decoration light use. 7.Power Supply:USB Charger/3 x AA Battery( Can Not Use In The Sametime). A Button- Power and Lighting Modes Control button. B Button- Brightness and Rotation control button.